I love comedy, but before this weekend, I'd never been to a local comedy show - I'd only seen comics on tour who stopped in Pittsburgh. But my friend Katie (who you'll hear from more this month in a guest post series starting tomorrow!) 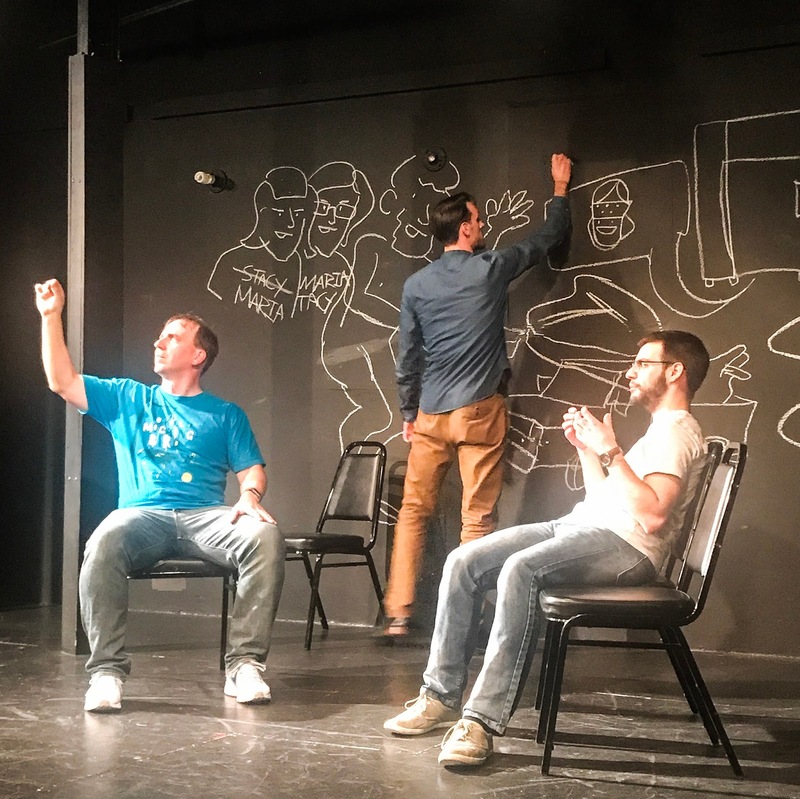 was asked to be the featured artist at the Steel City Improv's new show called "Blank Canvas," and I couldn't pass up the chance to check it out. Steel City Improv was founded in 2010, and in addition to putting on weekly shows, they also offer a training program for aspiring comics. 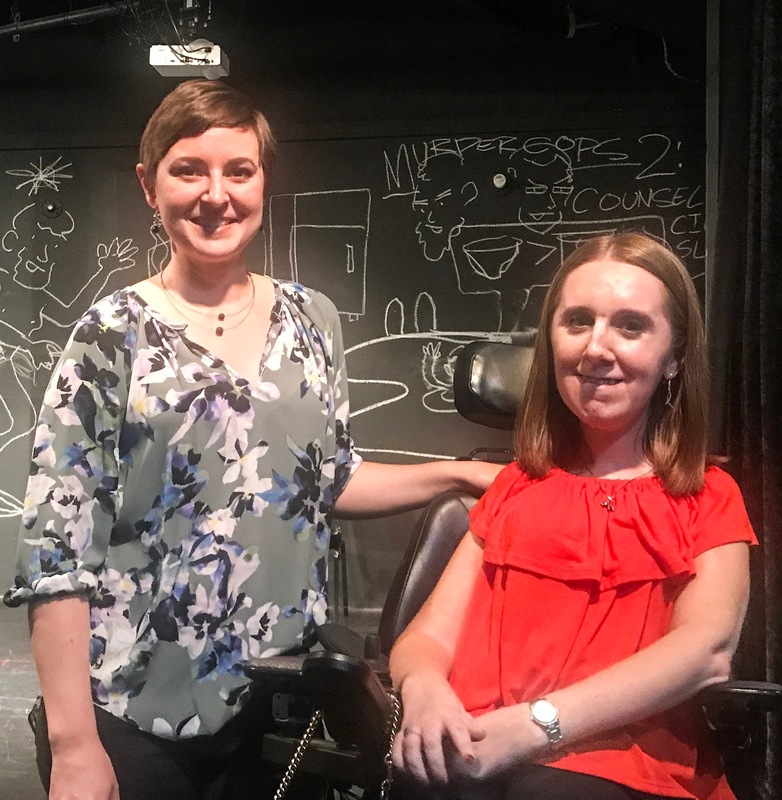 For "Blank Canvas," they brought Katie on stage and interviewed her for the first 15 or so minutes, asking her questions about her art and her life as an artist. Then they brought the performers out, who acted out (hilarious) skits based on the stories she told. I was so impressed by how quick and witty everyone was - I was laughing the whole time! Tickets to shows are only $10, and totally worth it. I'll definitely be going back to check out more shows! I also had the chance to check out a new-to-me restaurant in Shadyside before the show, The Urban Tap. Since it's a bar/restaurant, I wasn't sure how great the food would be, but everything was delicious! I ordered salmon and sweet pea risotto, and the flavors were incredible. It's more affordable than it's neighbor Casbah (which I do love! ), and the food they offer feels like a step up from Mad Mex, which is also nearby. All in all, it was the perfect way to spend a Friday night after a long week at work and school!